The racing season is now upon us. So much so, you can almost taste the lingering aroma of Pimm’s already. A day at the races is one of those traditions heavily cemented in the British way of life, so much so that we do whatever we can to get ourselves down at least once. But as the ladies get their frocks and fascinators out, it’s also time for us gents to start thinking about how dapper we want to go. 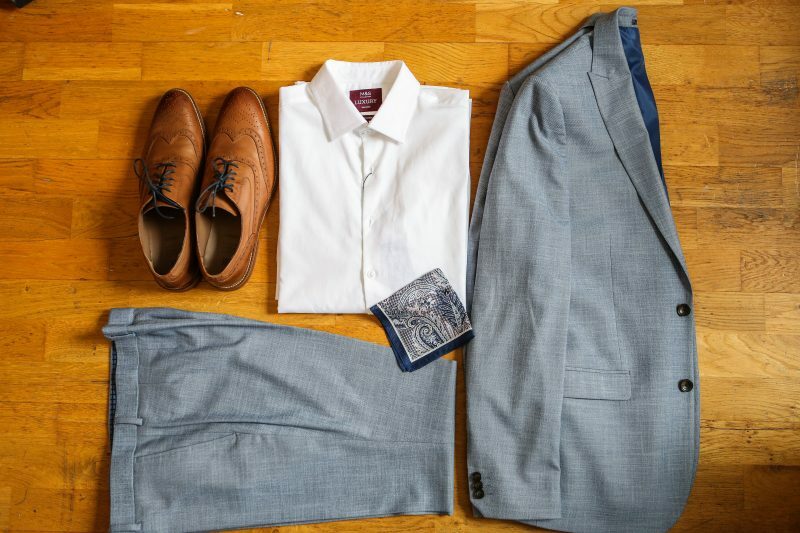 The dress code in the races has become slightly more lenient over the years, but let us not forget the importance of a good suit and some accessories for the all-important day at the races. 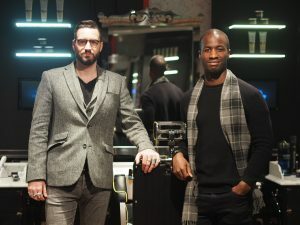 We’ve teamed up with Marks & Spencer, to spread their ethos on spending those important life moments well. And in this instance, it’s all about putting on your best suit for the race occasion to come. Allow us to take you through some of our key pieces for the season, along with our thoughts on getting ready for the day. Just because it’s the races, doesn’t mean a head-to-toe tweed affair (don’t get us wrong this is still a very strong look). 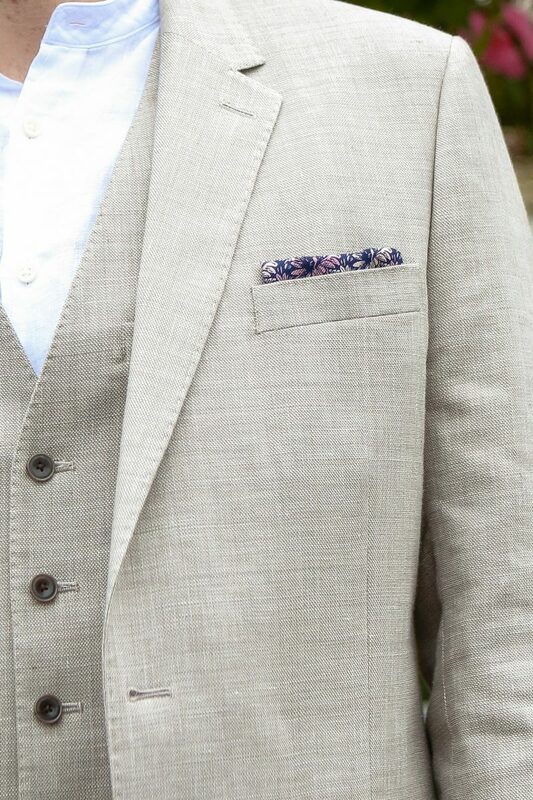 A splash of colour in your formal attire will stand you out a bit from the guaranteed sea of navy and grey attires. Linen was often a risky choice to make given the likeliness of you becoming a walking crease. 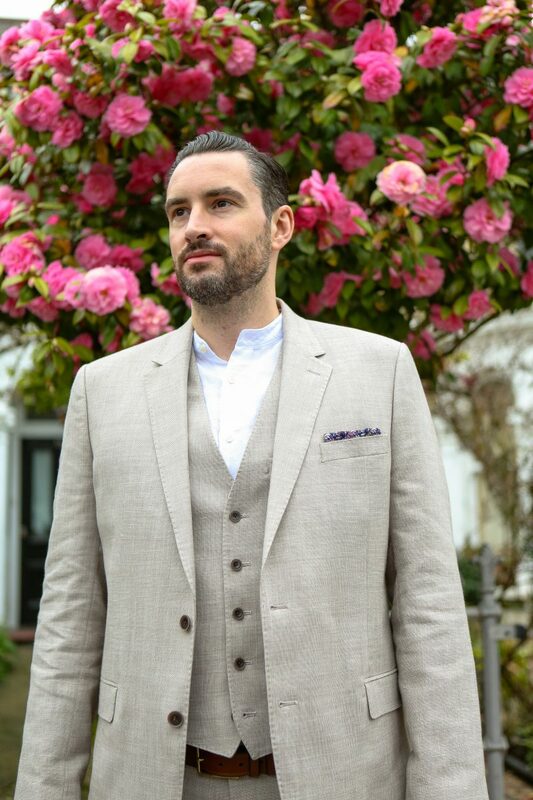 The clever bods at Marks & Spencer created the ideal defence against the creased suit war which Callum has chosen, going for their Linen Miracle Tailored Fit Suit. I however was more focused on the shade of suit, being a man that’s dwelled in the navy suit for as long as I can remember. For the races I went for more of bright blue slim fit suit in their Limited Edition range (not completely out of the comfort zone, but it’s a good effort), which gives a better spring/summer feel to it than my usual two piece. Now you can go for the wildest shirt that you have at your disposal, but this may only cause more harm to your suit than good. Our suggestion is to keep it simple with just a white shirt, but be adventurous by changing the formality by going collarless or without tie. As we mentioned before the rules aren’t as strict everywhere, so express yourself accordingly. In the off chance we get blessed with incredible weather during the racing season, you may want to think about the fabric in your shirt. Still dreaming of the perfect summers days, we’ve both opted in for a linen blend shirt, an ideal mix of softness and lightweight fabric. Advantages of having the linen mix shirt? 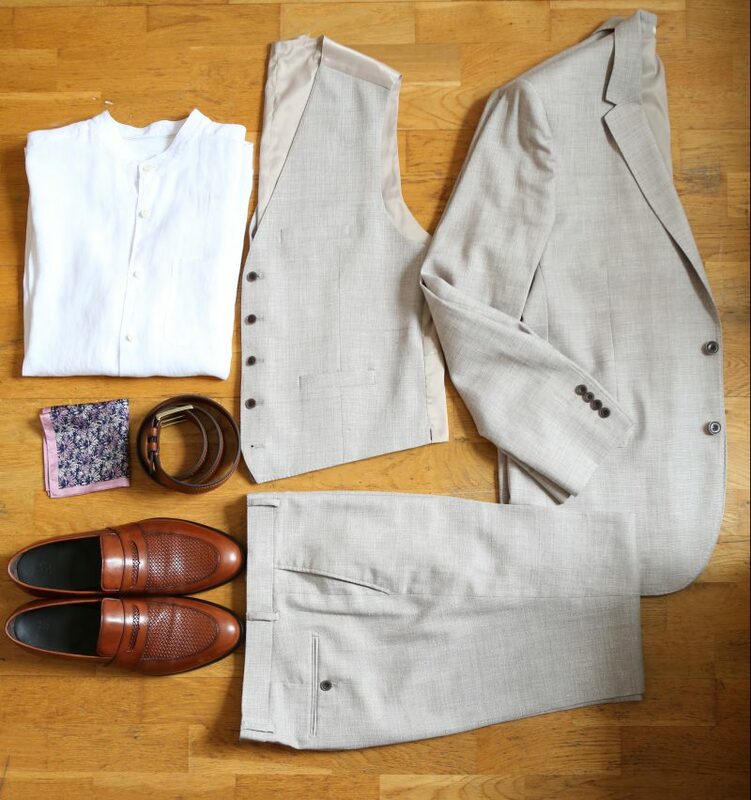 Well for one it means Callum now has the full linen suit outfit experience, but the second advantage is the breathability on the slightly warmer days. 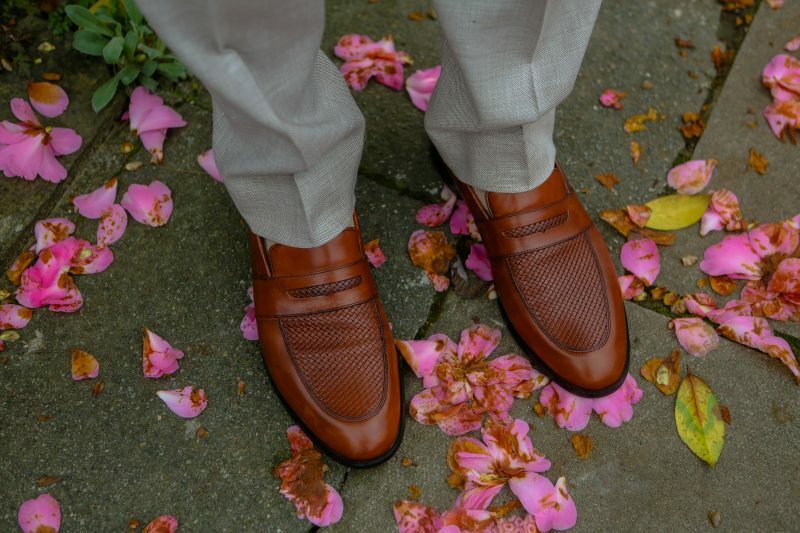 The shoes are so important not just because they obviously cover our feet, but also because they help to complete the look more than you know. A lot of gents can make poor choices in the footwear game, despite having the most killer suit. So, gentlemen please remember that not every shoe will work with your suit, you’ve got to choose wisely. 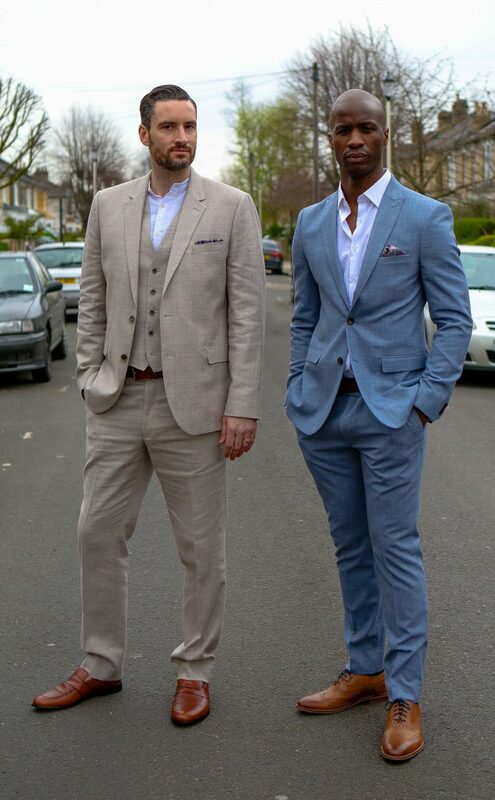 Given the sand colour of Callum’s suit, the wise choice was to go for something as close to this shade as possible. The obvious pick is a light tan/ brown shoes, in the form of the Marks & Spencer loafer. Normally you’ll always see me in a pair of loafers (they are my uniform) but once again, its about breaking the mould. 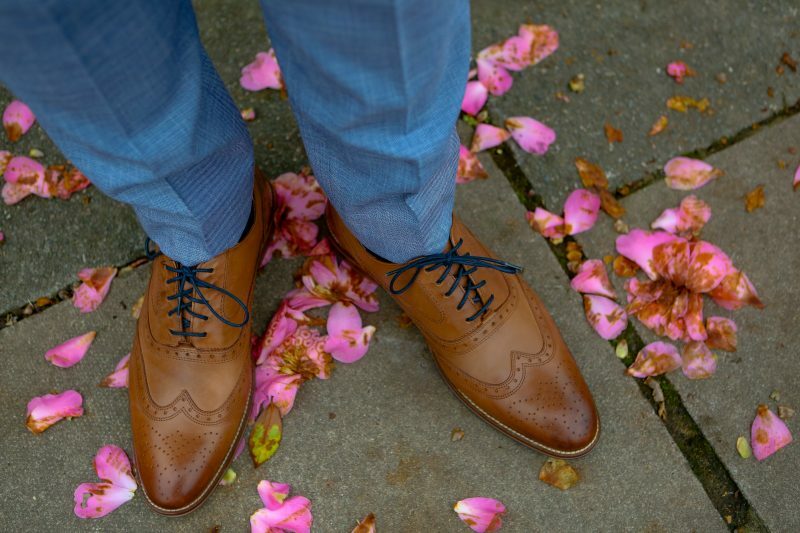 In almost every man’s wardrobe you can guarantee, is at least one pair of brogues. They’re as common as a bowl of rice, but there is a valid reason for it. Like the loafer, they’re very easy to wear with most outfits and can be very formal, or more casual. My choice is the Marks & Spencer leather layered brogue in the tan colour. It’s sits well with lighter coloured suits and doesn’t rip my feet to pieces in the process. The final garnishing, the cherry on the top. This is where you’ll make the colour block of your suit have a little more flare to go with it. 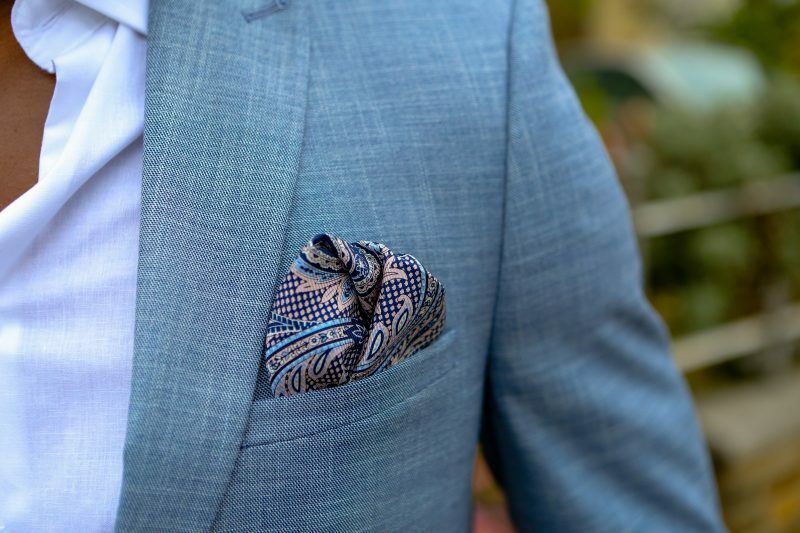 Pocket Square yourself, it will be the thing that stands you out a bit more. Everybody loves interesting and bold patterns, so ensure you exercise this with your suit of choice. Even down to the belt, ensure everything sits together right, as the opposing colours will be easily noticed. The belt doesn’t have many shades to it, but keep it in line with the suit. It won’t be long before the jockeys strap up and get ready to ride, so go in your best attire for the race season to come. 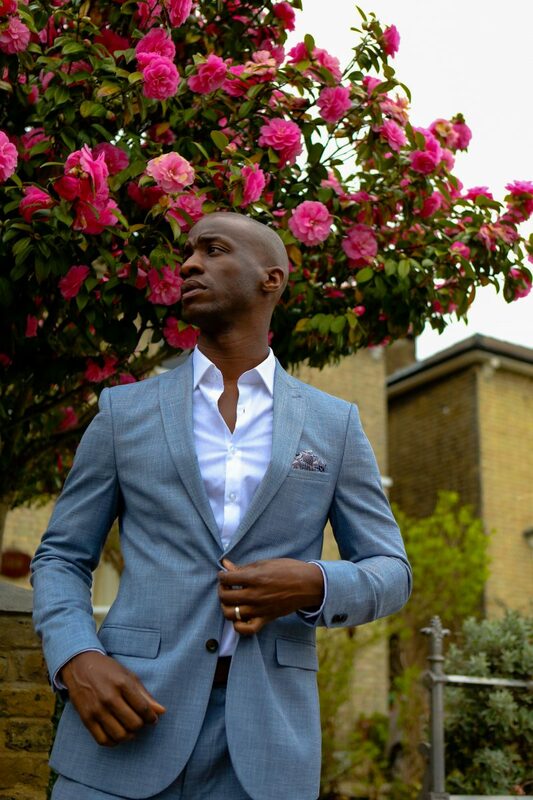 For all your suiting and accessory needs, head online to Marks & Spencer and get kitted out with your best suit.